1.) Lessons are booked in blocks of three, four or five depending on the amount of lessons that month. All lessons must be paid in full at the start of the month. Each session lasts 30mins and costs £12.50. 2.) 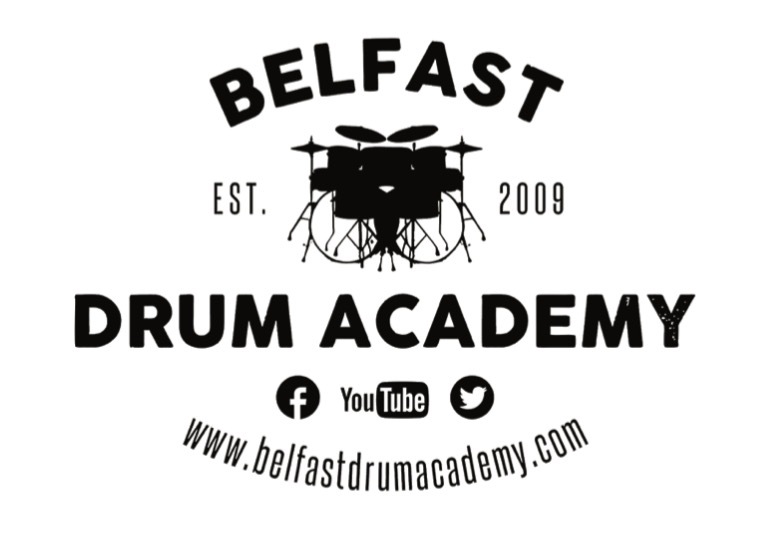 The Belfast Drum Academy operates for four terms per year, Sept-Dec, Jan- Apr, Apr-June and a Summer term in August. These terms are of varying length. The Belfast Drum Academy remains open on some Public and Bank Holidays. 3.) Payments must be made for all lessons whether taken or missed by the student. Unfortunately this includes cases of illness; as your tutor turning up for work, requires payment. 4.) No refunds are given for missing a lesson. 5.) Due to the volume of weekly lessons at The Belfast Drum Academy, it’s highly unlikely that a missed lesson can be rescheduled. Missed lessons cannot carry over into the next month. 6.) Students are not obliged to attend during school holidays. 7.) For students who cannot commit to weekly lessons within the above school term times, we also offer a ‘Pay As You Go’ option. Lessons can be booked on an individual basis at a suitable time arranged between the student and tutor. These lessons last 30mins and cost £18. 9.) If you are late for a lesson, we will still finish at the pre-arranged time as to ensure there is no knock on effect with other students. 10.) If a student decides to stop lessons temporarily or permanently, a minimum of one months notice is required. 11.) Please do not call or text your tutor before 8am or after 9pm from Monday to Friday. We’re open from 9am – 3pm on Saturdays.